Last week whilst at Disneyworld, I was wandering around a store in one of the parks (I think in Magic Kingdom) and came across a display of Beautifully Disney makeup. I had no idea they sold any makeup or nail polish there, so I was kind of pumped up! They have eyeshadow palettes, lip glosses but most importantly eight Beautifully Disney nail polish shades. I looked at everything carefully but passed them up. A couple days later we were back in another store (this time in Animal Kingdom) and I saw the display again. Once again I picked up the green and purple nail polishes that kind of called my name and decided to not pass them up. So glad I didn’t because they are both great. 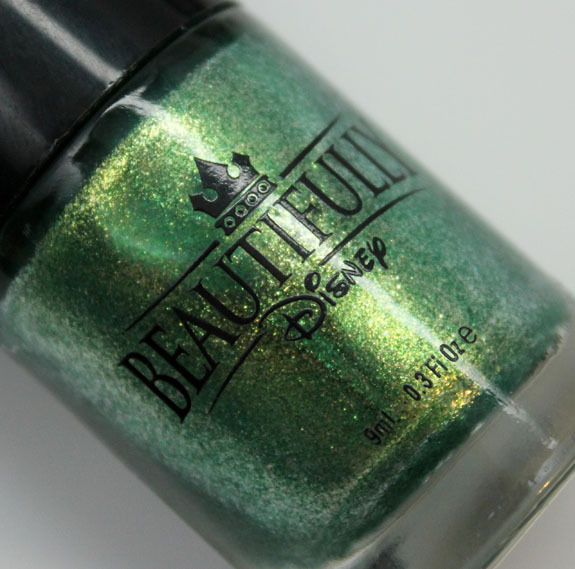 Ocean Mist is a super shimmery bright green metallic with green and yellow sparkles. This one reminds me of Zoya Apple and they could be dupes, but I haven’t compared them. The formula was really nice, I kind of expected it to be just okay. It covered in two coats perfectly and I had no issues with it. 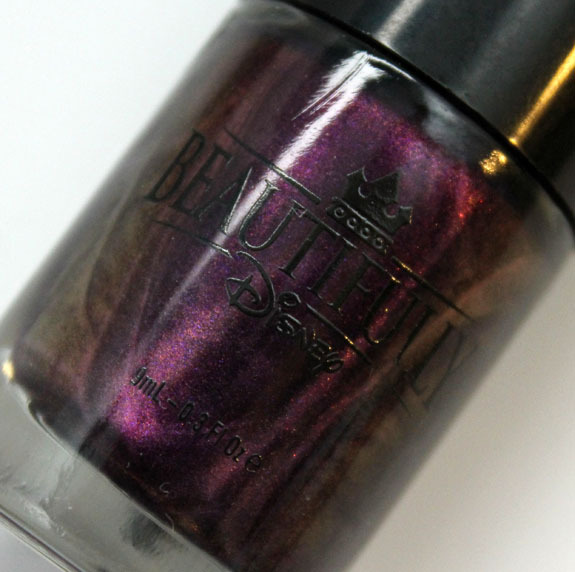 Diva Of The Deep was the one I was most hesitant about getting because in the bottle it just looked like a dark murky purple that may or may not be amazing. I am SO glad I got it because it turned out to be so beautiful. 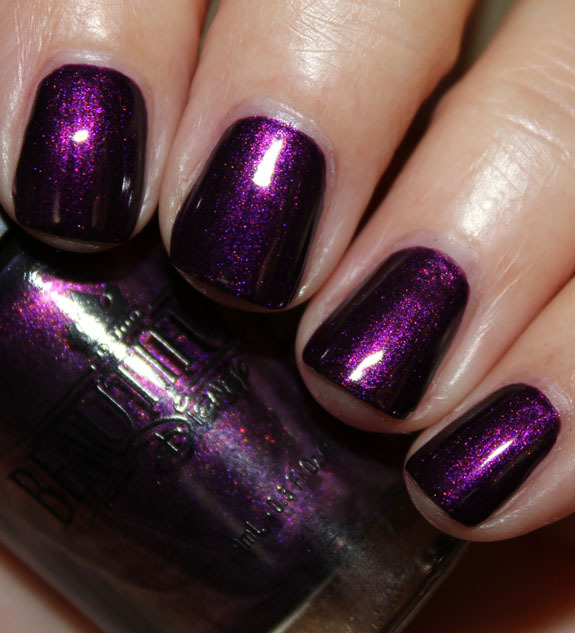 It’s a deep royal purple with violet, red and blue shimmer. It’s absolutely stunning in person. It’s lit-from-within and looks like rich velvety brocade or something. The formula was excellent with this one. So creamy and thick, but easy to work with. It’s nearly one coat but I did two. Overall: Well I am really glad I got both of these not only because they are great shades, but I now have another fun reminder of my trip! Availability: Disneyworld (maybe Disneyland?) and the Disney Store online. The one caveat is online it seems they don’t sell the individual full sized bottles. They sell mini-kits that split these two shades apart. Pricing: These were $8.95 for 0.3 oz and the mini kits are $19.95 for 0.14 oz each. Have you ever seen these at a Disney park? 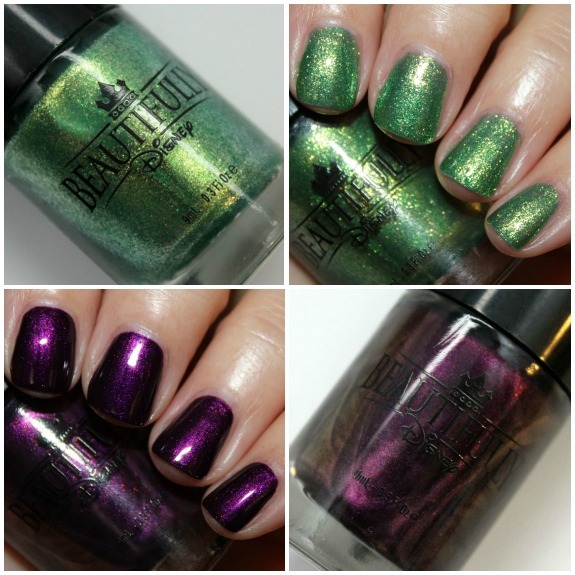 butter LONDON JELLY Collection Preview!